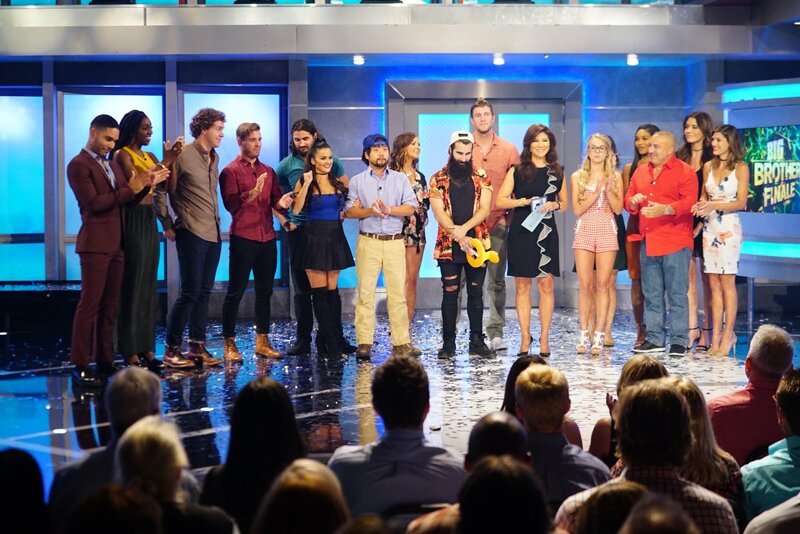 Big Brother 18 has found its winner! After more than three drama-filled months (and an endless supply of twists), someone has walked out through the doors with a cool half million dollars. It’s a well-deserved victory for any player to achieve, especially since Big Brother is a long and grueling game. This season’s finale has ended with nothing but debate and…say it with me….drama! Paul: Being the only newbie left works to his advantage, as it looks good to the jury when campaigning to other newbies to win. He’s won plenty of challenges this season, made lasting “friendships” with jury members, and he’s gone through the most hardships to get to the end. However, Paul is unfiltered and says whatever is on his mind, regardless if it’s good or bad. Nicole: She’s the only female left in the game and she (arguably) helped to control the direction of the season with the most power alliances. Her longstanding relationships with the veterans and her close guy alliances have protected her to the end, including her relationship with Corey. She’s won some challenges and made moves on her own to backstab people. Though many think she’s slept through most of the game and got carried by the guys to the end. James: He’s fun, carefree, and competed on Big Brother for a good time. He’s had the best social game by making the most genuine and real friendships with the other house guests. While he hasn’t performed great during challenges, he’s felt the safest from eviction. The downside? He hasn’t tried his hardest or made the biggest moves to prove WHY he should win. There are only two ways to get to the end: (1) Win the final Head of Household competition or (2) survive the final eviction. The final HOH challenge is a grueling three part challenge that whittles down the competitors to only one winner. The final round usually breaks down into three parts – endurance, mental, and then followed by A or B jury questions. Similar to past seasons, this year was no different. The final part stayed tried-and-true with the jury questions, but the first two challenges felt like a breath of fresh air. Whoever came up with the cat endurance idea or the amusement park challenge needs to get a raise (like now!). Watching the Final 3 bounce around from one cat-themed area to the next – while dressed up AS cats – was a treat. The amusement park challenge, which looks to be a short challenge from the outside, must have been more grueling in practice. These are great new additions – we NEED more of these new ideas. In a close 5-4 vote, Nicole SURPRISINGLY pulled out a victory over Paul. That’s not to say she didn’t deserve the win – she absolutely is just as deserving as Paul! It’s only more shocking based on the jury responses and their attitude towards HER. Corey was an obvious vote for her to win, but the votes from Natalie, Paulie, Zakiyah and Da’Vonne surprised even me. It could be due to Paul’s negative attitude toward Natalie, Nicole’s friendship with Paulie, and/or her control over the men (which Da’Vonne pointed out during the jury segment) that secured her some votes…but that’s only speculation. Either way, Nicole pulled out the win! Congratulations to her and for making Big Brother history – she is the first woman to win against a man in the final two. She deserves every bit of respect for winning the game, regardless if she played a quieter or sneakier game than Paul. Big Brother is a tough game; her moves, strategy and reputation with the jury secured her victory over Paul and James. If Paul was meant to win, he would’ve won. But the debate will live on until Big Brother 19, or even Big Brother: Over The Top. It might be time to retire Dr. Will from hosting the jury segment. He is a Big Brother legend and one of my favourite players, but it has been years since he competed. And with the casting now being geared toward recruits or “superfans” who have only really watched recent seasons and don’t know who Dr. Will is (looking at you, Michelle! ), someone more recent is best. What’s with all the paranoia, Michelle? Why didn’t the first five evictees get ANY time? Hearing what they have to say and spilling the tea about house secrets is what we all want to hear. Why even bother having them on the stage when you only give us filler? The quick description from Julie Chen about Big Brother: Over The Top didn’t reveal much about the show. Guess it’s another mystery until its online premiere. Were Jason and Jozea REALLY their top choices to invite back for Big Brother: Over The Top?